It’s Grim Up North was updated and re-released in 1991 in a slightly more “radio-friendly” version. The new mixes dropped Pete Wylie’s vocals from the 1990 original and replaced them with Bill Drummond’s instead. In addition The JAMs added a new outro in the form of Jerusalem On The Moors, an orchestrated arrangement of Jerusalem by Sir Hubert Parry. 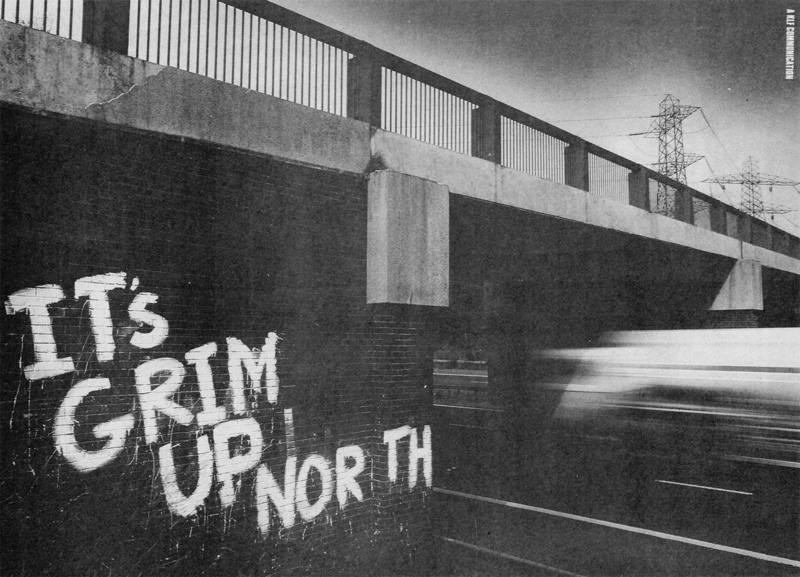 The first advert for It’s Grim Up North appeared in the NME in late October ’91. 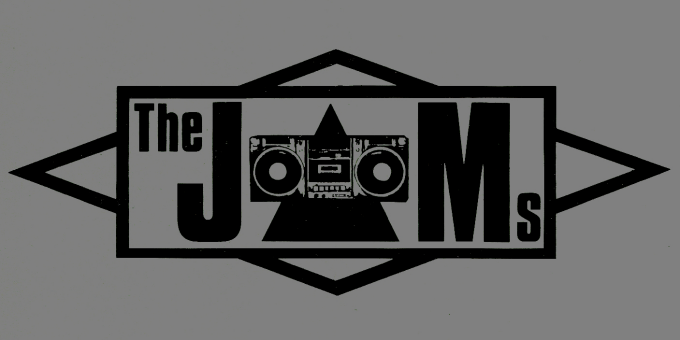 The layout is centered around the large JAMs logo and includes the single’s release date as the only other bit of information. The third and final advert appeared two weeks later in November, displaying a slightly smaller JAMs logo and the tag line “The North Will Rise Again”. The very same phrase first appeared in Prestwich Prophet’s Grin on Who Killed The JAMs? and is also featured during the outro of the music video for It’s Grim Up North. A hell of a record. Literally. [It’s] completely fab in a very KLF mad-great-uncle-sort-of-way. Of course. Runner-up Single Of The Fortnight. The Scotsman picks over the place names with gruesome relish, the backing track pummels and tweaks, blasts and buffets him round the furthest God-forsaken reaches of this demi-paradise, this land of kings, this sceptred isle, this England. […] A thing of feverish, fiendish irreverence and conceptual genius, ‘It’s Grim’ climaxes with a burst of orchestral splendour, a beacon of pomp and circumstance, a reminder of all that is great and noble in this green and pleasant land. And then at the close the killer blow – a lonesome seagull squawking over the barren wasteland. ← America: What Time Is Love?